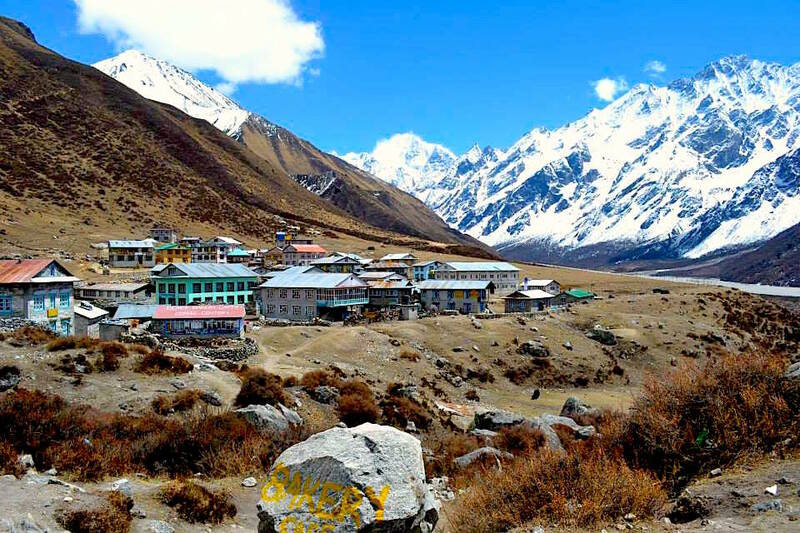 The Langtang valley trekking route is also known as ‘The valley of glacier’. 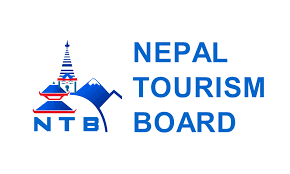 It is the third most popular trekking route in Nepal after the Annapurna and Everest region. 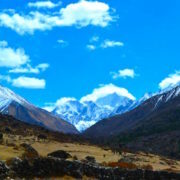 Located North from Kathmandu, the trek takes you incredibly close to the glacier in a relatively short period of time. 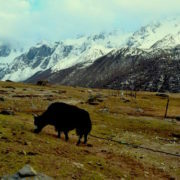 The route is often preferred by trekkers opting for a shorter and easier trek. 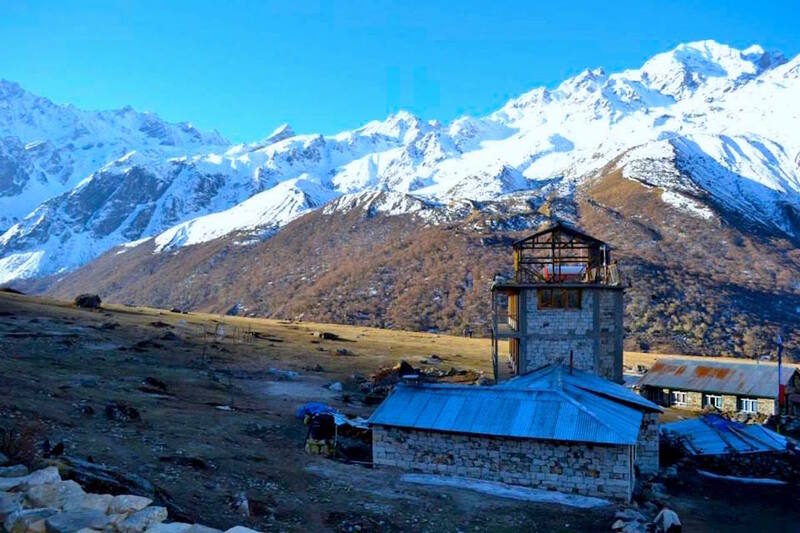 Trekkers who want to extend their trek can visit Gosaikunda or the Tamang Heritage Trail which is located adjacent to the Langtang valley trek. 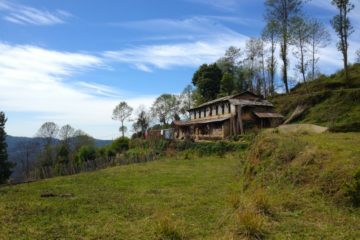 Despite being very close to Kathmandu, the trek is as wild as the Tibetan highlands, but with a tranquil rural landscape. 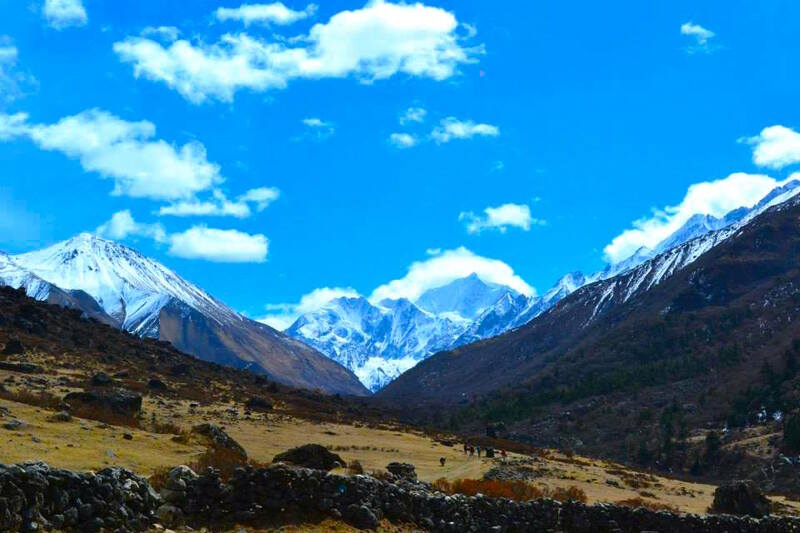 The people living along the route are Nepalese but are the descendant of Tibetan origin, so for those wishing to experience rich Tibetan lifestyle and culture, this trekking route is the ideal place. 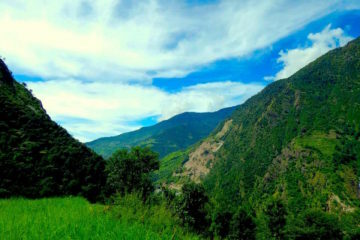 Additionally, trekkers can witness a panoramic view of Mt. 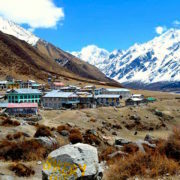 Langtang-ri, Langsisa, Langtang Himal and Ganjala peak along the trail. 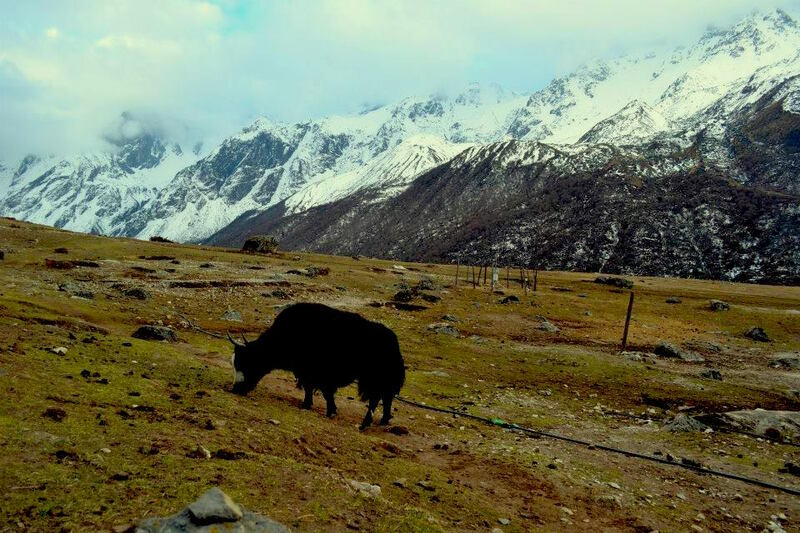 Most of the trail is covered by Langtang National Park which was established in 1976 to conserve the native species of flora and fauna. The park is famous for hosting endangered species like the red panda and snow leopard. The trees include the deciduous oak and maple, and evergreens like pine, and various types of rhododendron. Animal life includes Himalayan black bear, the goat-like Himalayan tahr, rhesus monkeys and red pandas. On top of experiencing rich Tibetan culture, trekkers can visit Kyanjin Gompa (an ancient monastery) located at 3800m during the trek. 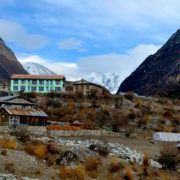 Kyanjin Gompa is the last destination of the trek. This trek can be once in a lifetime spiritual trip for those fascinated by the Buddhist religion. On 25th April 2015 a massive 7.8 earthquake hit Nepal. 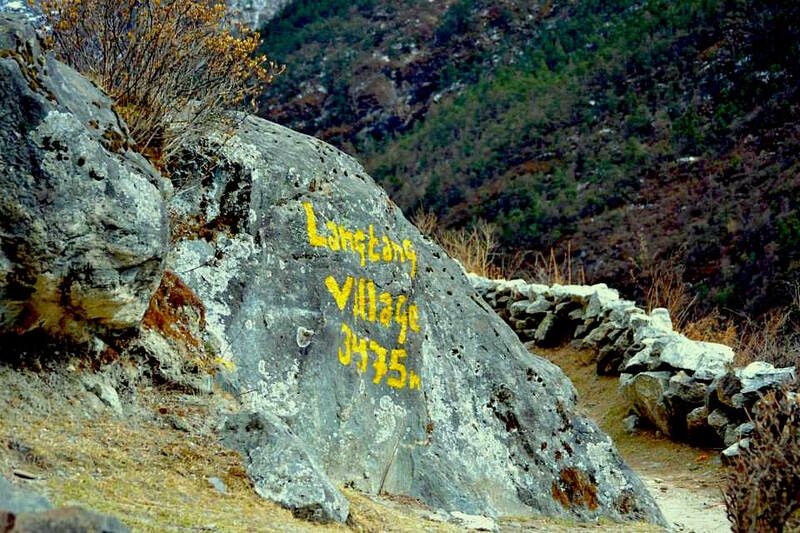 The Langtang village located 1 hour from Kyanjin Gompa was wiped out by the ice and rock avalanche triggered by the earthquake. 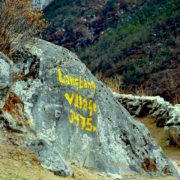 More than 180 local people died along with trekkers. 7. 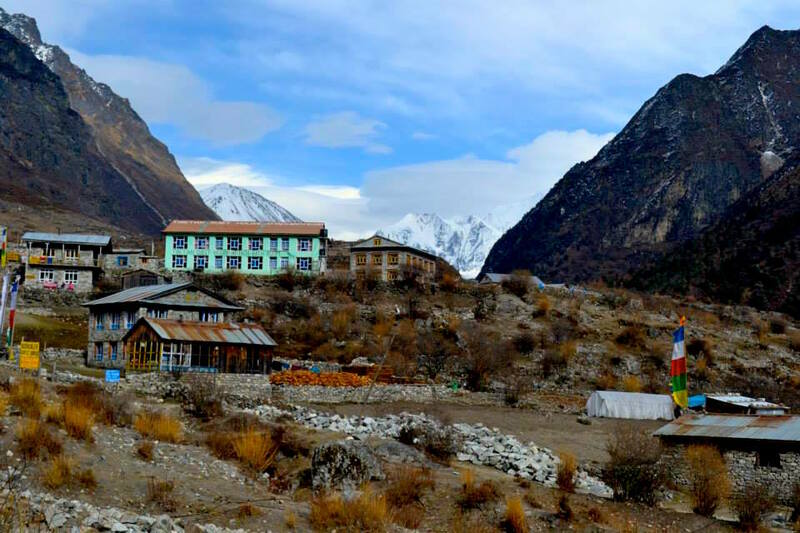 Acclimatization day – Kyanjin Gompa.